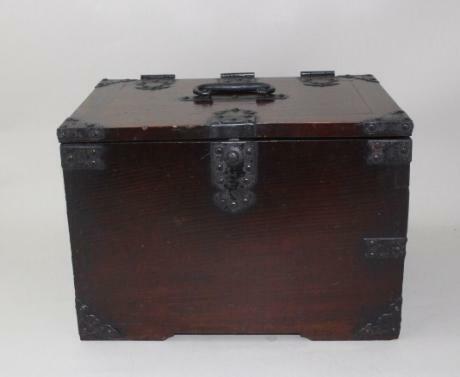 Japanese early 20th century calligraphy box with lock and key. The calligraphy box measures 12" wide, 8" deep and 8 1/4" tall. 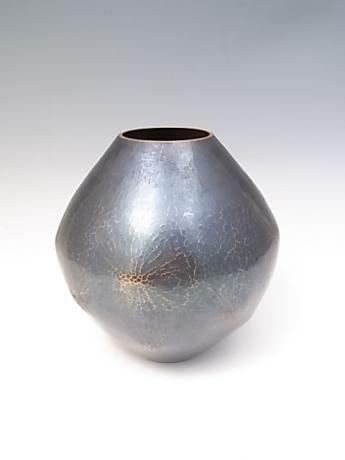 Japanese late 20th century hand-hammered copper vase by GYOKUSENDO. 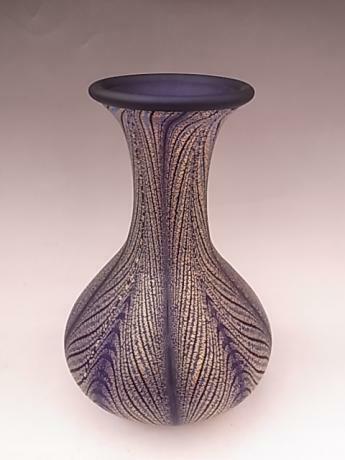 The vase has a design of areas that seem to have been pushed out from the center. 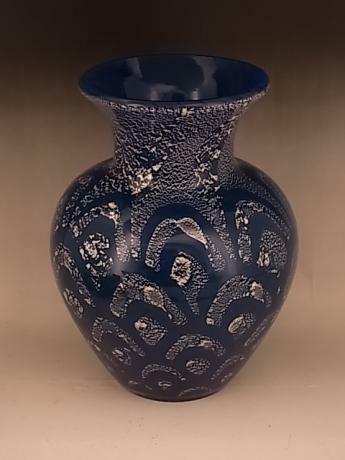 The vase has the GYOKUSENDO chop mark on the bottom. 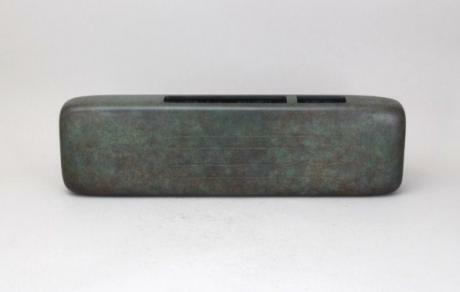 The vase comes with TOMOBAKO, or original artist signed wooden storage box. The vase measur..
Japanese 19th century carved wooden painted DAINICHI NYORAI statue. 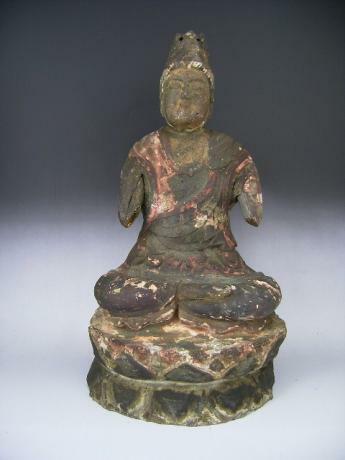 DAINICHI NYORAI is the cosmic Buddha, the Japanese version of Vairocana, one of the Five Dhyani Buddhas. This statue was possibly carved by a Buddhist monk from a single piece of wood. The entire statue measures 14 1/2" tall, 8..
Japanese mid 20th century art glass vase by glass master, IWATA HISATOSHI. IWATA HISATOSHI was born in Tokyo in 1925. He graduated from the prestigious Tokyo School of Fine Arts in 1950. 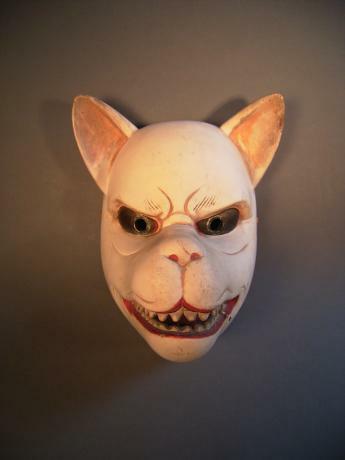 He has participated in all the major exhibitions in Japan. 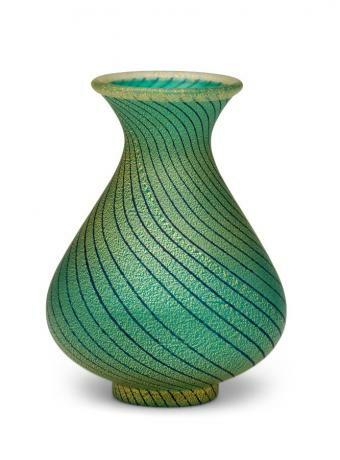 His works of art on part of the collections at the ..
Japanese 20th century glass vase by glass maker IWATA HISATOSHI. IWATA HISATOSHI was born in Tokyo in 1925. He graduated from the prestigious Tokyo School of Fine Arts in 1950. 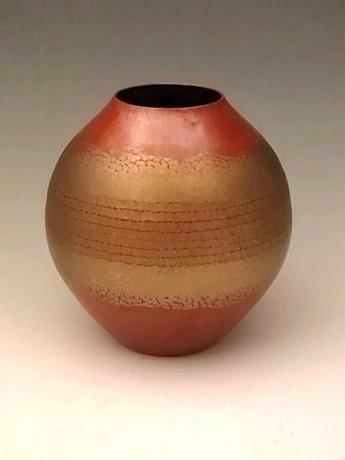 He has participated in all the major exhibitions in Japan. His works of art on part of the collections at the Corning Gla..
Japanese mid 20th century art glass vase by glass master, IWATA HISATOSHI. IWATA HISATOSHI was born in Tokyo in 1925. He graduated from the prestigious Tokyo School of Fine Arts in 1950. 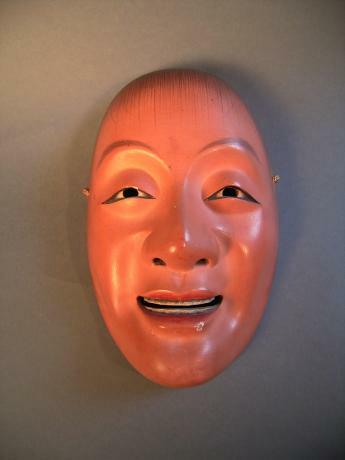 He has participated in all the major exhibitions in Japan. His works of art on part of the collections at the C..